MEMBERS WANTED AT THE OLD SOLDIERS HOME GOLF COURSE LOCATED AT THE ARMED FORCES RETIREMENT HOME IN PETWORTH. For many of you who may be unaware, the Old Soldier’s Home Golf Course, located on the same property as President Lincoln’s Cottage, is open for membership and current members are interested in recruiting new members to help keep the golf course running optimally. This nine-hole golf course and driving range is currently one of the best kept secrets in Washington, D.C. and current members are looking to change that. In the past, the approximately 200 active members of the course may have been inclined to keep the course a secret because it had enough money to operate, so this may be one of the reasons why so few people even know the course exists and that joining is very easy! Due to a recent drop-off in funding, the plan for the 2017 season is for the members to volunteer a few hours each week to maintain and run the course, mainly, physically maintaining the course by cutting the grass, etc. Those members will still be paying a $700 annual membership for the privilege to play the course and participate in the maintenance, which we believe is a strong testament to how much this golf course is valued by its current members. With an increase in membership, this will not be necessary and members will be free to enjoy as much golf as their schedules can handle. 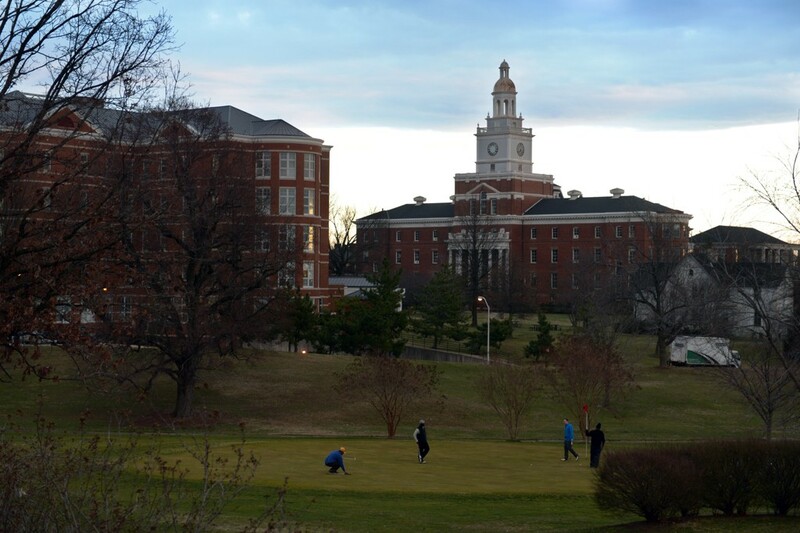 The Old Soldiers Home Golf Course is attractive to DC residents for a variety of reasons, including, but not limited to, unlimited golf within city limits, the course’s convenient location, low projected annual cost for membership and a great atmosphere with phenomenal views of DC. Currently, with 200 active members, any one member can essentially play the entire course at any time without seeing another soul. Therefore, we believe that we could double the current membership and the course would still maintain a very private/intimate atmosphere while the increased funding would benefit the course for the enjoyment of all members. An additional benefit to increasing the membership base would be to alleviate the financial burden on the AFRH itself, which currently provides the course some funding, albeit not enough to keep it running the right way. In the future, we would love for the course to operate solely on membership fees so that the money the AFRH currently diverts to the course could serve our retired veterans living at the AFRH in other ways. Anyone who is interested in becoming a member is encouraged to send an e-mail to afrhwgolfcourse(at)afrh(dot)gov.